This time our journey takes us to sunny places of the Italian city Milan, which will show you its best side with lovely and multifaceted cultural offers. As a musical input you will be informed about the great Spanish Harlem Orchestra, consisting out of well-known and established new-Yorker salsa musicians, who committed themselves to the 70s “Salsa Dura“-stream. Last but not least, our DJ pages and the Event Manager will keep you up-to-date with the most important upcoming festivals. You may recognize ads from some of our partners. We started to build a broad distribution of the magazine besides the festivals and major events. Interesting? Then you may become our partner for your city and neighborhoods. Enough words said as a start. 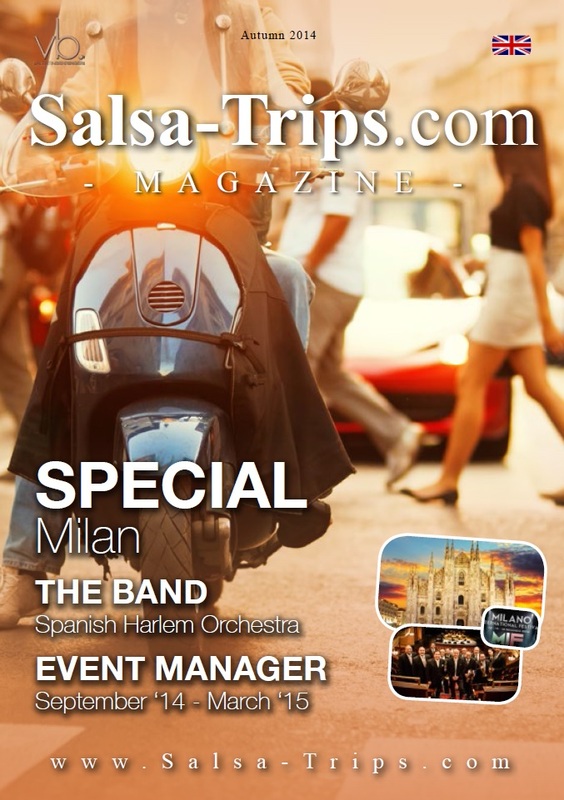 We‘re glad to present to you the 10th edition of our Salsa-trips.com Magazine.